A warehouse lease agreement is used when an individual or company (”Tenant”) is renting space in a warehouse from another individual or company (”Landlord”) to house product, materials, or for any other use. For instance, an online shoe store may rent space in a warehouse to stock their inventory and keep it safe. An agreement will include the length of the lease, the rent amount, payment due dates and late charges for rent. Additionally, the lease agreement will specify where payment is to be paid, and the amount of the security deposit, should one be requested. This type of agreement details who is responsible for the utilities of the space, maintenance, repair or improvements, and damage fees if damage is incurred. A lease typically indicates the party responsible for the lock and security of the property, as well as pest control. Although lease agreements may differ in how a renewal of the lease shall occur, proper documents include this information. When signing the document, the tenant will indicate in the contract that they are aware of and accept the present condition of the premises. In space occupied by several individuals or companies, a landlord may include terms regarding noise level, authorized vehicles, and what constitutes acceptable use of the space. A warehouse lease agreement may also include eviction clauses and other repercussions, should either party violate the agreement. A stock purchase agreement is a contract for a business transaction in which an individual (”Purchaser”) is purchasing corporate stock from the seller (”Seller”). The seller can be an individual shareholder who has stock from the corporation, or it can be the corporation itself. The agreement is meant to protect both parties and hold each party responsible for their obligations in the purchase. The agreement will cover how many shares of stock are being purchased and the purchase amount. Once signed, the contract sells, conveys and transfers the stock to the purchaser. The agreement typically contains the value of each share of stock, plus the delivery and closing details. A corporation may include clauses regarding the rules for the proceeds of the stock sale, confidentiality, a disclosure schedule, as well as litigation responsibility and indemnification information. The purchase may require earnest money, and if so, the agreement will specify the amount to be paid and when the delivery shall be made. The contract can include language verifying the stock is free of any and all liens, tax information, insurance policies, and other important information applicable to the stock purchase. A stock purchase agreement is a legally binding contract, and contains within the document the rights and responsibilities, as well as the rights to termination between the parties. A non-competition agreement is also known as a non-compete agreement. The document may be used when hiring a new employee (”Employee”) to an organization or company (”Company”), and prohibits the employee from working at a competitor (”Competitor”) after the employee is terminated or leaves the company. Non-competition agreements are designed to protect a company’s business practices and intellectual property from being provided to a competitor by a former employee. This agreement might be used by a soft drink company to prevent its employees from taking trade secrets to a competitor. A document will usually specify the time length in which the employee promises to not work for a competitor after leaving the company. The geographic territory and any prohibited activities may also be included. The laws surrounding the use and implementation of non-competition agreements may vary from state to state. 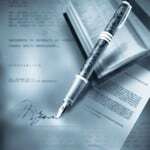 For more information about agreements, visit www.RealDealDocs.com.